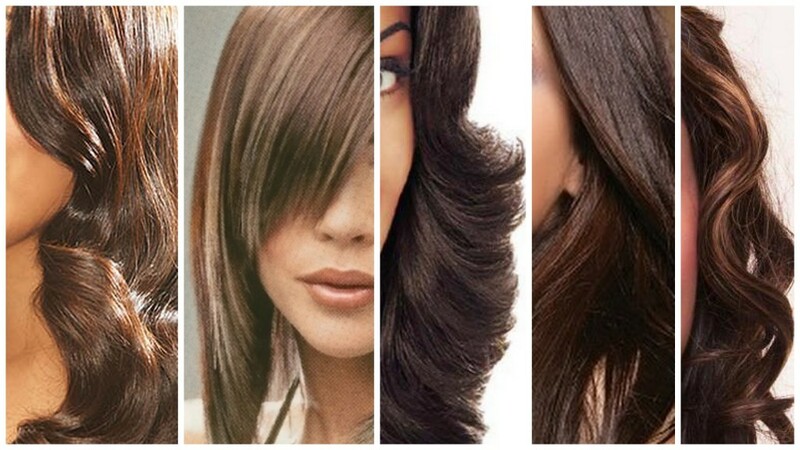 Everyone wants a different hair style for occasions and want to switch things up a little even on regular basis. Especially as the weather changes from hot to cold, there is an instant urge to freshen up the hair colour, style and cut to compliment the season. It is natural to opt for professional hair salon services often to see professionals work their magic on your mane. Whether you have long locks or short, funky hair – cutting and styling them regularly is mandatory to maintain their health and to keep them glossy. We suggest cutting hair every 6-8 weeks to ensure healthy growth without split ends. If you’re a fashionista and like to stay on top of trends be it Hollywood or Bollywood celebrities or runway inspired style, simply bring us a picture of the hair style or cut you want to replicate and our talented hairdressers will try their best to replicate it on your face shape and current hair style. Whether you’re looking for tousled waves, razored feathers, dreamy layers, a short or a long bob, wispy fringes, a neat blunt cut or just a trim to maintain your current hair style – Shumaila’s is the hair salon you should head to in East London. If you have faced issues in the past due to an inexperienced hair dresser, do not worry as with Shumaila’s you’ll always be in trust worthy hands. Our hair dressers are patient and good listeners, making sure we deliver exactly what you are looking for, even better! At our salon, our ultimate aim is for our client to be 100% satisfied with the hair style’s end result and to walk out of the salon confidently, feeling like a diva and always coming back for more. If you have always dreamed of a particular hair cut, we will alter it according to your face shape, features, texture of the hair and your current hair style, so that it’s unique to you. It can be difficult to ensure you hair looks stunning every day after a brand new hair cut & style hence our hair stylists ensure to give you a low maintenance hair style that you will be able to style and flaunt in your busy daily schedule. Your hair is an extension of your personality so we’ll make sure you feel yourself by enhancing it and making it just more glamorous. You obviously cannot take chances with your looks, can you? Therefore, step in to Shumaila’s beauty clinic for expert hair salon services by experienced hair dressers. We have a wide range of hair services for you including hair colour, cutting and styling. Our dedicated staff will also advice you on hair care regime and the latest styles that would suit you. We also have facilities to show you which are the best hair style for you as well as advise you on how often you must cut your hair, tips to take care of your hair and the right hair care products for your hair. You thus get a complete crash course on hair care if you step into Shumaila’s for hair cutting and styling. A keratin treatment in disguise, this 2-4 hour semi permanent blowdry is perfect for frizz heads who find it difficult to tame their locks regardless of the weather. It eliminates frizz, makes hair straighter, easier to manage and softer in how it looks and feels. A godsend treatment for those with naturally thick, coarse, curly, voluminous hair owing to their ethnicity or genes. A hair relaxing treatment, this will reinstate shine and strength to lustre lacking damaged hair by replenishing the level of Keratin in the hair, a protein responsible for keeping locks healthy and shiny. Popular as a pre-holiday treatment so you don’t have to worry about humidity in the air or the water in pool affecting the texture of your hair. With results lasting up to 6 months, a Brazilian Blowdry treatment allows styling time to be reduced substantially leaving you with luscious, hydrated, glossy and manageable hair every day. If you want stronger and more visible results in your hair when it comes to straightening, this treatment is what you are looking for to dramatically change the texture of your hair from curly and wavy to sleek and straight. By restructuring the hairs internal bonds, the treatment transforms any hair type, be it curly, wavy, voluminous or frizzy to poker straight in just a few hours. The end result will be soft and silky hair while still having some volume around the crown area for an overall flattering look. Your lifestyle, hair growth cycle and the natural texture of your hair will decide how long the treatment will last and when you will need a touch up. The straightening treatment we use will also repair damaged and lack lustre hair. The straightening effect aims to last for 6-12 months depending on your hair growth but you will need to retouch new growth that occurs after the treatment for a seamless effect. Got fine, limp and straight hair that you would like to add some oomph to, then a Perming Hair Treatment will be the solution for you. It will give the added body, texture, volume and movement to your hair that it previously did not have. Whether you’re looking for vintage tight curls or loose bohemian curls, simply tell us your precise preferences and our experienced staff will get it just right. A two hour treatment, the products use will break the structural bonds in your hair and give you luscious bouncy curls that will act as your convenient everyday hair style until the treatment lasts, which is usually up to 6 months. Perms work best on virgin hair that hasn’t been recently coloured or highlighted and does not have numerous or short layers.